Prosecutors will seek the death penalty for Dylann Roof for Charleston black church massacre. The 22-year-old Roof faces 33 federal charges for opening fire on a Bible study gathering at the church June 17, 2015. Roof reportedly sat in on the class for almost an hour before he began shooting. The nine victims ranged in age from 26 to 87 years old. Roof was charged 10 months ago, but his federal trial date has yet to be set. 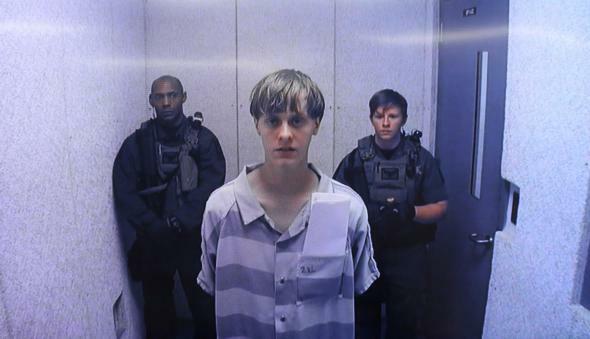 Roof also faces the death penalty in state court, which is scheduled to go to trial in January. The move is a relatively rare one for the federal government since it reinstated capital punishment nearly three decades ago. Of thousands of eligible cases since then, the U.S. Attorney’s Office has authorized prosecutors to seek execution in about 500. It’s especially unusual, experts said, because state prosecutors had already announced plans to seek Roof’s execution in their separate case against him… The development eliminates the possibility of a plea deal in either case, unless prosecutors later retract their intentions. If execution had not been sought, Roof would have pleaded guilty in exchange for a lifetime prison term, his attorneys in state and federal court have said. Roof and his attorneys had previously indicated Roof wanted to plead guilty to the charges in return for life in prison.